The Funeral Service is a public service of the Church. It is a public confession of the faith concerning death, burial, resurrection and life hereafter. In the funeral service the baptismal theme of death and resurrection with Christ is most prominent (Romans 6:1-11). The service begins with the name of God spoken over the body of the baptized. The casket may be covered with a pall as a remembrance of being clothed with Christ in Holy Baptism (Galatians 3:27; Romans 13:14). The baptismal creed (Apostles’ Creed) is confessed and prayers confidently speak of the resurrection and new life given in Baptism. In the sermon the pastor has a unique opportunity to preach God’s Word of Law and Gospel to hearers who may not know the source of Christian comfort when a heart is troubled by grief and sorrow of death. Here the pastor can explain the connection between Christ’s work of salvation in Baptism and the death of the Christian. The focus of the funeral service is the public proclamation of Christ crucified and the comfort Christians find in Christ’s resurrection. For the Christian, death is not the last word. Christ’s death and resurrection proclaim victory! Jesus calls His disciples to follow Him through death to life. That journey begins in the death and resurrection that happens in Holy Baptism. The burial rites take the Christian on the last steps of this journey to the resurrection of the body and life everlasting. It is the practice of Saint John’s Lutheran Church to provide Christian Funerals for all members of our congregation and those Christians who regularly worship with us. Dependant upon circumstance and schedule, a pastor of Saint John’s Lutheran may be available to provide a funeral service at one of our local funeral homes for a Christian who is not connected to Saint John’s Lutheran. At the time of death, the family’s preferred funeral home and pastors of Saint John’s should be notified as soon as possible. The funeral director will assist the family in making arrangements for the entire celebration of life of the deceased loved one. The pastor will work with the family and funeral director in planning the funeral service. Pre-planning a funeral is highly encouraged to assist the mourners in honoring the deceased’s desires for the funeral. 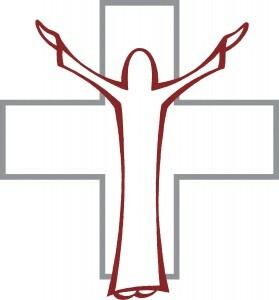 The church offers the Christian Life Center free of charge for those members of Saint John’s who wish to have a reception after the funeral service. Members of Saint John’s will work with the family to provide a meal. There is typically an honorarium given to the church for the work of the volunteers. Please contact the church office at (608) 742-9000 for more information.